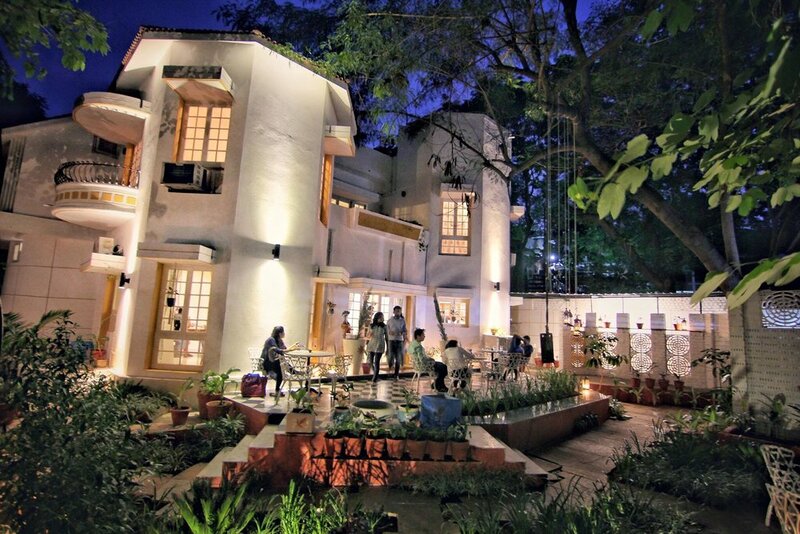 The Roastery Coffee House redefines Hyderabad’s café experience with artisan coffee. Roastery extends its artisan approach to its décor. 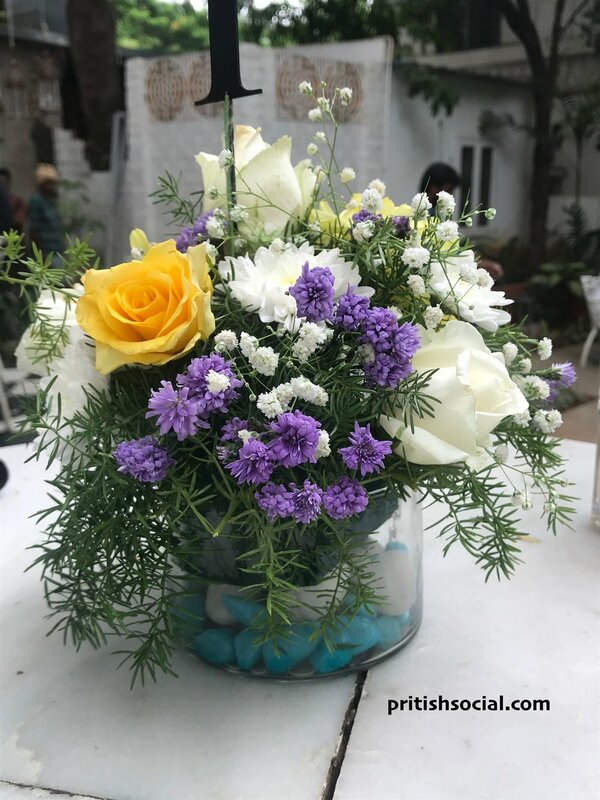 A cosy house was remodelled into a café, and founder Nishanth & family made it an oasis of green with around 1500 plants. Accompanying the coffee is good food. The portions are generous, so check before placing the order. The menu outlines the café’s approach to coffee with simple images indicating the amount of espresso, milk/foam/cream and water that goes into each cup. Coffee is served in handmade pottery and I have tried different coffees on several occasions at the Roastery Coffee House. My list includes Almond Milk Iced Cappuccino, Chocolate Blend (Double Shot Espresso + Chocolate Icecream), Milk Mocha (espresso + hot chocolate + milk), and Cappuccino (Milk Foam + Espresso + Hot Milk). The Buffalo Mozzarella Cheese Salad is a combination of mozzarella cheese ,exotic vegetables, and garlic mayonnaise. The mozzarella and the vegetables were fresh but I felt it was still too bland and dry. When salads are ordered, a bottle of Olive Oil and some seasonings could be served so customers could enjoy their salads according to their tastes and preferences. Vietamese basa fillet marinated coated in panko batter and deep fried served with crickle French fries. My colleague ordered this for himself for lunch on another day and enjoyed it thoroughly. He indicated that it was cooked well. I too tasted some fries and loved it. I suggest a portion of some spicy could be served with this plate of fish and chips. BBQ chicken sandwich is grilled bbq chicken layered with creamy onion and capsicum on bread. Though the portion of fries is small, the sandwich was very filling and tasty as quoted by my colleague who joined me for lunch. Roastery Coffee House's signature style is the cold brew, where Arabica and some Peaberry are left to brew in cold water for 14 hours! This method takes away the acidity, leaving a light brew that can be had any time of the day. Almond Milk Iced Cappuccino to cool me down and beat the heat in Hyderabad. Although I liked it, I wouldn’t order it ever again because I like my beverages sweet and especially coffees or cappuccinos. Because almond milk is made from ground almonds mixed with water, there is a watered-down quality to it. But it's still got body. In fact, as a lover of cow's milk, I might rank this higher than grey, flimsy skim milk. Compared to 2 percent, though, I'll take cow. I really liked the ambience, the outdoor seating where you could enjoy the fresh air with some beautiful plants around, and not to forget the cute dog that catches everyone's attention. The poor dog has one blue eye, and has broken leg. It is way too cute to be ignored. On all my visits, I have seen most customers spend some time with the dog. Some even take selfies with this dog. I personally would recommend all to visit this beautiful café in Banjara Hills. Do try out their signature coffees besides the below list of dishes to eat.